Tourists flock to Tropical North Queensland to visit the impressive Great Barrier Reef. If you are staying in Cairns, consider taking to the highways and exploring some of the incredible rainforest, mountain landscapes and coastal scenery. There is much more to Cairns than the famous reef, and a rental car is the best way to discover the hidden treasures of North Queensland. VroomVroomVroom has put together a list of the top road trips from Cairns to help you make the most of your tropical vacation. The rolling hills and green valleys are a stark contrast to much of Australia's desert scenery. To experience volcanic lakes, waterfalls, historic towns and patches of rainforest you can't go past exploring the Atherton Tablelands. Directions: Turn off at the Captain Cook Highway at the Smithfield roundabout and head up the Kuranda Range. This steep, winding road offers some great views over Cairns' coastline, particularly from Henry Ross Lookout. Follow National Route 1 for another hour to reach Atherton. Kuranda: Known as the 'Village in the Rainforest', Kuranda features markets, boutique shops, local cafes, and wildlife parks. There are plenty of hiking trails around Kuranda, and it is only a five-minute drive to Barron Falls. If you are visiting during the wet season, a remarkable volume of water flows from the Barron River to make the falls even more impressive. Yungaburra: Visit the old-fashioned village of Yungaburra, on the shores of Lake Tinaroo. Nearby you will find the beautiful Crater Lakes National Park, where you can enjoy a swim in the popular Lake Eacham. Millaa Millaa Falls: Drive the waterfalls circuit just outside of Millaa Millaa to visit vastly different falls. The most scenic of the falls is the photogenic Millaa Millaa Falls. No trip to Tropical North Queensland would be complete without a visit to the Daintree, the world's oldest rainforest. 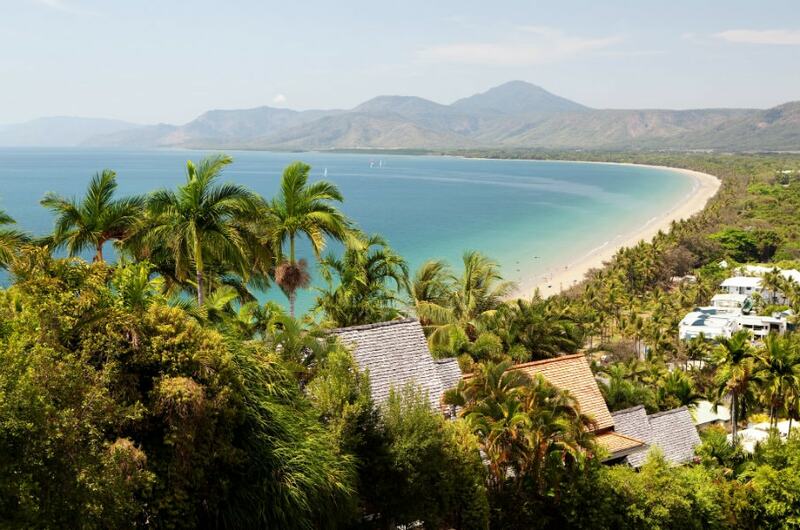 The journey north to the Daintree region takes you past popular resort town Port Douglas. Directions: Follow the Captain Cook Highway north past the northern beaches, toward Port Douglas. The same highway will lead you to the Daintree river crossing, however you will need to turn off for Port Douglas. Palm Cove: Relax in a hammock under a palm tree or enjoy a walk along the jetty with a great view toward Double Island. Shortly after Palm Cove, stop in at Hartley's Crocodile Adventures for a thrilling wildlife encounter. Four Mile Beach: Four Mile Beach is within walking distance of the main shopping precinct and is a great example of a Tropical North Queensland beach, nestled against huge palm trees. Daintree Discovery Centre: The Daintree Discovery Centre is a great way to learn more about the region and the native wildlife. Explore the old rainforest on the numerous hiking trails in the area. Head south through the stunning mountain ranges and vast cane fields toward the Cassowary Coast. This colourful coastline is full of vibrant villages, beautiful beaches and fascinating wildlife. Directions: Follow the Bruce Highway south from Cairns. When you reach the small town of El Arish, take a left-hand turn toward Mission Beach on El Arish Mission Beach Road. Babinda Boulders: Take a short detour to explore the Babinda Boulders. The area is a popular swimming spot, and there are also hiking trails that follow the river and offer some great views. Etty Bay: Another great stop along the way is the lovely Etty Bay. The elusive cassowaries are often spotted in the area, along with other native wildlife. 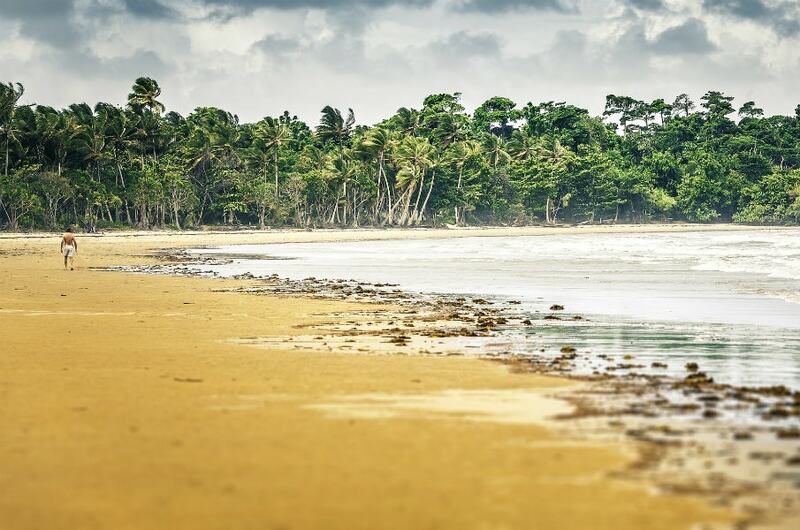 The beach is not far from the highway and is a popular beach for travellers. Mission Beach: Mission Beach is a great spot for spotting cassowaries, and they can even be seen wandering onto the sand. Go for a cruise to Dunk Island, or enjoy snorkelling on the reef. Travel between the two largest cities of Far North Queensland through miles of cane fields and tall mountain ranges. You'll find some unique villages and exciting beach towns along the way. Directions: Follow the Bruce Highway south toward Innisfail. Continue along the same road until you reach Townsville. Turn off at Woolcock Street for central Townsville. Cardwell: This small coastal town was devastated by Cyclone Yasi, but it has since been rebuilt into a vibrant, seaside community. Explore the unique rocky beaches offering great views of Hinchinbrook Island. 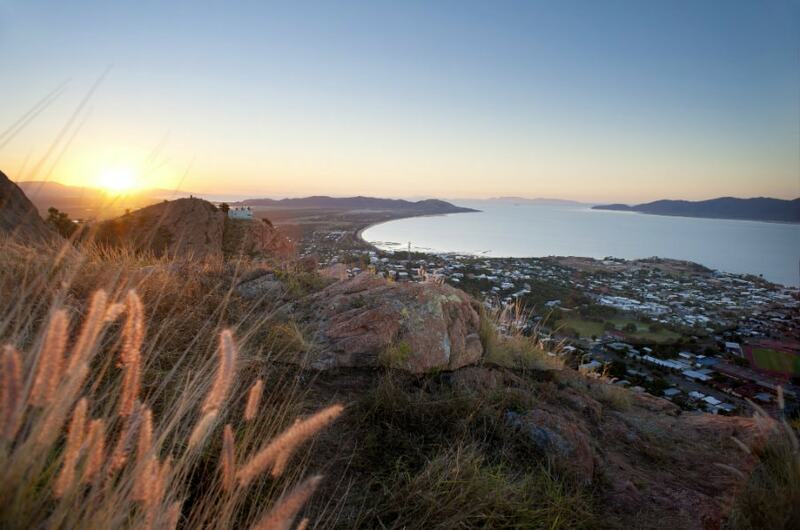 Castle Hill Lookout: There is no better place than Castle Hill to get a birds-eye view of Townsville. If you're feeling energetic, you can make the hike to the peak for some great views. Magnetic Island: Spend some extra time in Townsville and take a trip to the beautiful Magnetic Island. The island has plenty of historical features, as well as miles of cycling trails. Don't miss your chance to explore the gateway region of the Cape York Peninsula. Although you can't make the full journey in a rental car, you can travel as far as historic Cooktown. Directions: Take the Kuranda Range to the Kennedy Highway. Turn right on the Mulligan Highway and follow this road north to Cooktown. Mareeba Wetlands: Visit the tropical Mareeba Wetlands to discover unique bird species, and learn more about the flora in the North Queensland savanna region. Black Mountain National Park: The huge granite boulders of Black Mountain National Park make this a unique place to visit. The area also has cultural significance to the local Aboriginal people. Grassy Hill Lookout: Enjoy the sweeping views over the colourful coastline at Grassy Hill Lookout. 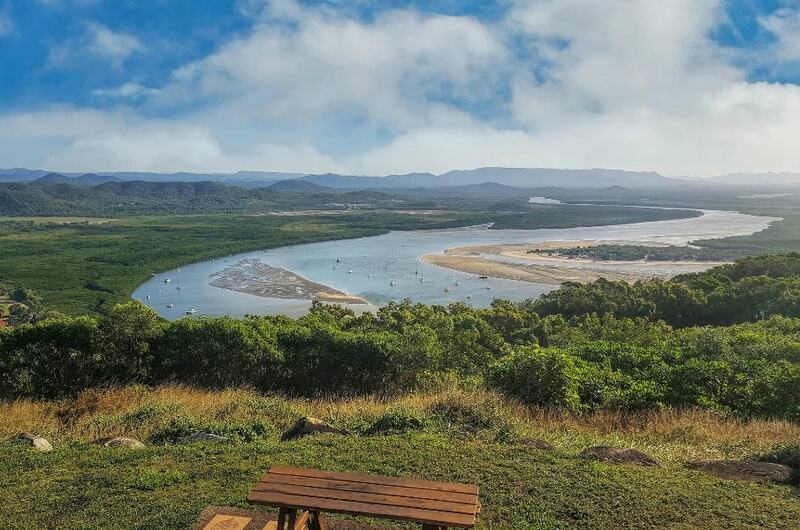 You will also have a fabulous view of Cooktown and its surrounding rivers. Find out more about road trips from the top cities in Australia.